1. The user input area has been improved and more explanations added. Also, a thumbnail of the inputs is shown while viewing the report. 2. Options can now be selected using both delta and stock out-of-the-money percent simultaneously. 3. Options meeting the backtested filters are ranked according to a score weighting the multiple entry parameters. For example, if you used ideal deltas, days to expiration, and yield percent criteria, we choose the simulated trade that most closely matches those inputs using a scoring system. 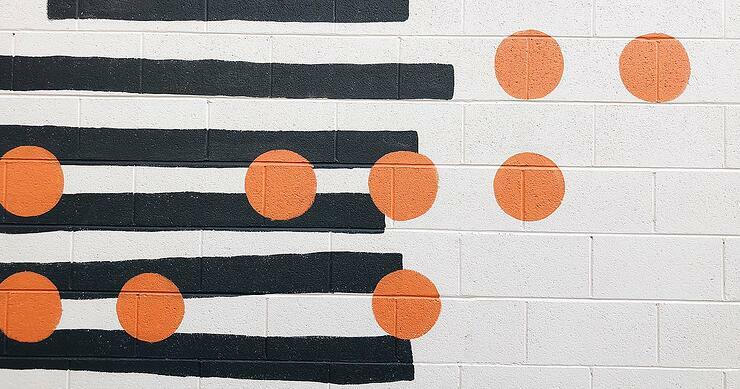 More HERE on scoring. 4. We added an exit rule called Strike Difference Percent Value. For spreads, the trade is exited if the value of the spread divided by the strike difference falls below or rises above min max ratios. More HERE on this exit rule. 5. We've added the ability to use multi-symbol entry and exit date simultaneously to control when options trades are entered and exited. 6. We've added the ability to combine multiple symbols backtests (mentioned above) with other multi-symbol or single symbol tests. 7. The user can now choose to buy or sell stock with option strategy. 8. 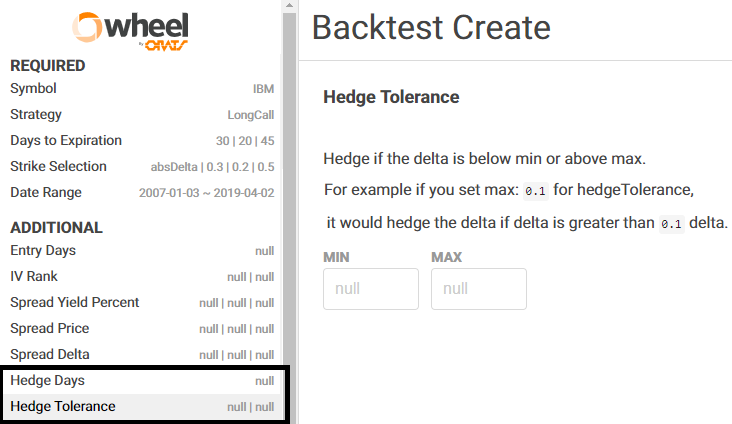 We have improved underlying delta hedging, including hedging on an input number of days or delta levels to flatten deltas. 9. In the trades section, there are now stock trades and profit for delta hedging, covered stock, buywrite, stock overlay, married put, and other strategies that have a stock component. 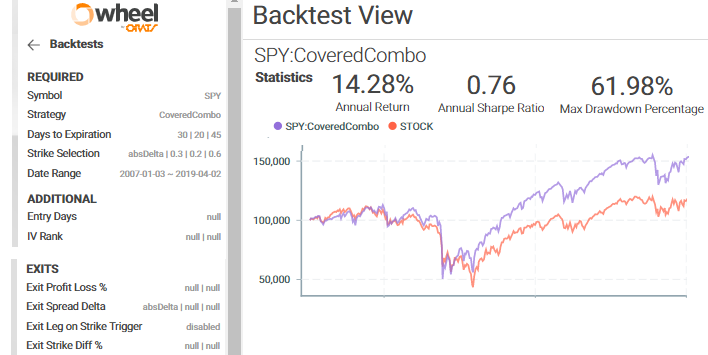 More on our backtesting website here. We are launching the Backtest API with this upgrade. The Backtest API can be accessed programmatically ie with Python. 1. Use signals to enter and exit trades using three types of signals: What we call Type 1, that uses our existing Symbol Entry Exit dates method; Type 2 that uses custom single dates like earnings, conferences, or a user custom field; and Type 3 that is a data series like our Core Historical data is mapped to Type 3 signals via the API. 2. 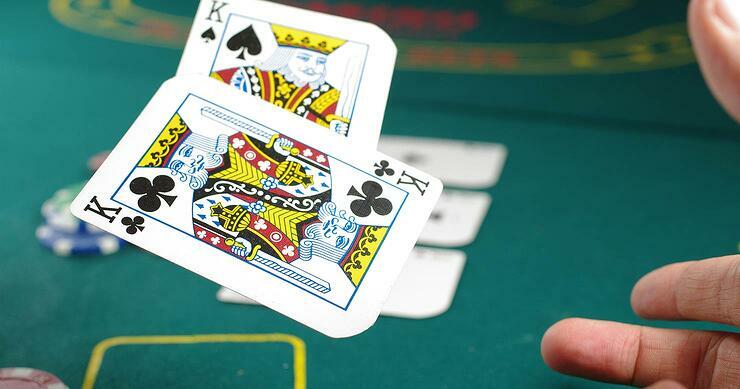 The ability to adjust a trade, not by rolling but by using rules to adjust. 3. 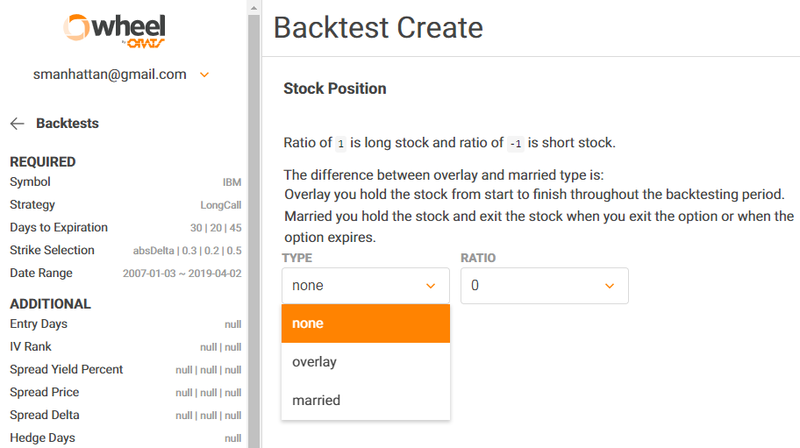 We have added the ability to combine options backtests with stock only backtests. 4. We have made backend improvements in our AWS cloud infrastructure where we can support 1000's of simultaneous backtests. We've also made improvements in our backtesting underlying historical quotes data. 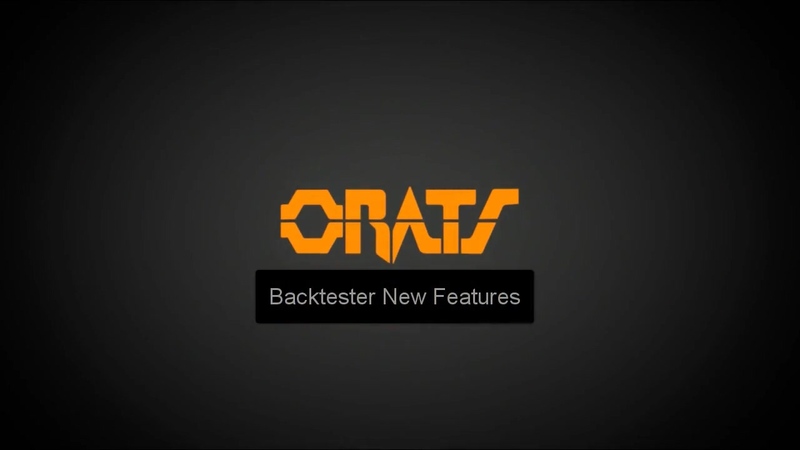 We would also like to hear about improvements you would like to see, both in our backtester and in other facets. Contact us and let us know!